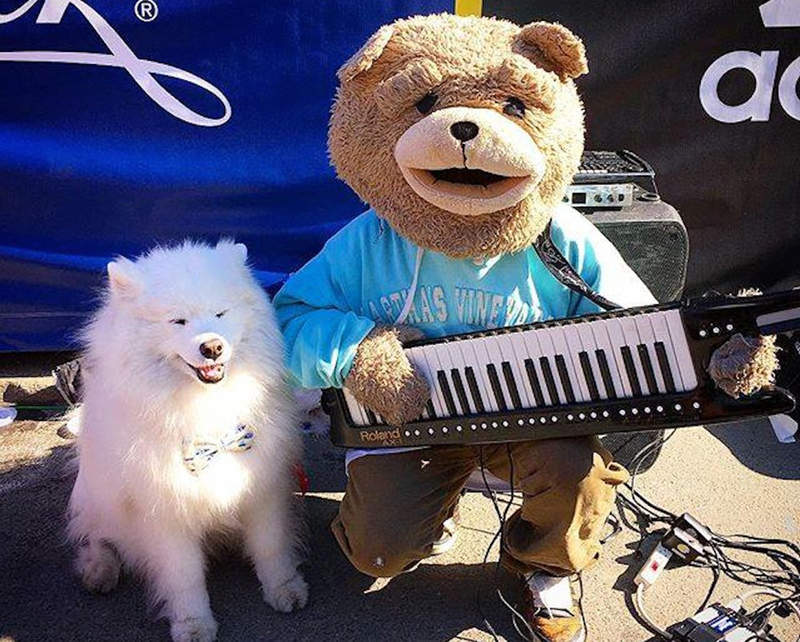 By Vanyaland·	 4/19/2016, 9:28 a.m.
Last week Boston’s favorite mascot Keytar Bear was spotted in the wilds of Fenway, busting out the synth jams on Brookline Avenue just before the start of the Red Sox home opener. Now, a petition has been launched to get the furry busker inside Fenway Park — and on stage when Pearl Jam plays the baseball stadium on August 5 or 7. If that doesn’t work out, another gig has been proposed for Keytar Bear, and that’s when Guns N’ Roses play Gillette Stadium in Foxborough on July 19. The Change.org petition was created by someone under the name Juan Holliday, doing business straight out of Swampscott. And he doesn’t simply want Keytar Bear to open either show, the petitioner wants the Bear to jam out with the headliner. Holliday admits he hasn’t even approached Keytar Bear about this crazy plan, but wants to show appreciation for a street performer whose increased publicity made him a target for random street attacks. While this proposal seems to be a longshot (though maybe there’s a chance Pearl Jam see the humor in all this), one stage Keytar Bear will definitely be on belongs to the Middle East in Cambridge, when he and Abigail Taylor celebrate the anniversary of Keytar Bear and Abby Taylor Day on May 8 with The Famous The Bikes, Somerville Ukulele Club, and the Bear himself.